Investors typically ignore Swedish politics. But this year’s general election could be different, according to Swedish asset manager Ohman Funds. All polls indicate that none of the two major blocs will emerge with a majority and there’s little appetite to reach across the aisle among the biggest political parties. “It seems impossible to form a new Swedish majority government as things stand currently,” said Pablo Bernengo, chief executive officer at Ohman Funds in Stockholm “The risk for a dead-lock is significant. ” And political turmoil at this late stage of a stock rally and economic upswing could have dire consequences, according to Bernengo. The stakes are high with the potential for a continued downturn in the Swedish housing market and slowing growth. The central bank could at the same time be forced into tightening as inflation, which lags growth, finally picks up. “That would be a very dire situation for Sweden,” said Bernengo who oversees 80 billion kronor ($9. 75 billion) in stocks and bonds. But his main scenario for now is that a compromise will be reached on a minority government. Ohman sees a modest slowdown in global growth over a six- to nine-month horizon and with valuations in the stock markets unlikely to go much higher, any further upside will depend on growing profits. 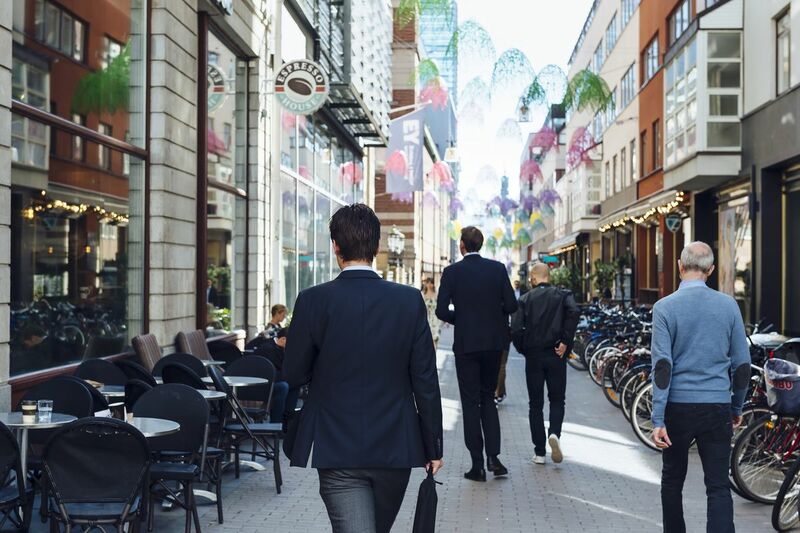 Investors should therefore adjust their expectations, said Jamal Abida Norling, Ohman’s chief investment officer, whose Sweden Micro Cap fund was awarded awarded best small-cap fund by Morningstar based on its result over the past 5 years. “A balanced model portfolio of bonds and stocks currently has the lowest expected return over an economic cycle since at the turn of the millennium,” he said. “It’s significantly lower compared to three-four years ago. ” Ohman went to neutral in emerging market stocks during the fall after holding an overweight for almost 18 months. It still has a small overweight in global and Swedish stocks but is taking less risk compared with a year ago. The asset manager is overweight credits within fixed income and also prefers a lower duration.